FREE! 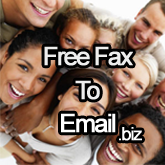 Fax to email number in seconds! We offer the best support in South Africa for fax to email and if you are listed with us, we will do our best to get your fax number working. You will be sent a test fax. If you fail to receive the test fax, we will assist you in resolving the issue as quickly as possible. We will receive reports on our servers to see if your email is being blocked or if another problem exists, at Telkom for example. Quick solutions if you have boxbe or mailmarshal: These are bad for fax for emails, disable these or whitelist the faxtoemail email address. If you use a free email account, the set up for Gmail, Outlook.com, Yahoo! and Facebook are found below. You may use these steps for other free email accounts too. Wait 20 minutes: Before starting to look for a solution to your problem, please make sure you have given sufficient time for the fax to get to your mailbox, faxes may take up to 20 minutes at busy times. Wait 20 minutes after a fax has been sent. The fax number is wrong: Check that the fax number is correct. Mailbox is full:Check that your mailbox is not full. Server side block on attachments: Check with your email service provider, or with your company's IT department, to see that the emails are not being blocked at the server for including attachments such an images, pdf files or due to their large size. Some companies have firewalls and may have "mailmarshal" that blocks images and stop large emails. If you have gmail or yahoo, add the fax's email address to your contact list! Once these have been checked, check to see who your fax2email service provider is, and contact them to resend you a test email, or to check their logs of incoming faxes. We cater for a large range of fax numbers. You may check if your number has been listed with us here. Setup instructions for free email accounts.